I had a company that did programming and consulting in IT for large corporations. We were hired by a subdivision of Olivetti in Italy. I can remember my first trip with my business partner. It was my first trip to Italy. It was exciting and a little scary. What would we find? Would doing consulting there be the same as in the states? As we landed and cleared customs we were met by the President of the Olivetti subdivision that hired us. He was a real Renaissance man. I knew right away that this was going to be a fun engagement. We were in Milan and the city was marvelous. The fashion was exquisit. We worked hard each day and partied harder each evening. Sleep didn’t exist. I could sleep all I wanted when I got home. Everyone we met was friendly and as interested in us and USA as we were in them and Italy. It was like being in a crash course on Italy. Each dinner brought new culinary experiences. The food and wines were perfect. I had never tasted anything like this. My idea of Italian food was being re-written! They took us to do the mandatory touristic things like Duomo, La Scala (the Opera House), the Galleria and Sforza Castle. Milan was both a modern and ancient city. 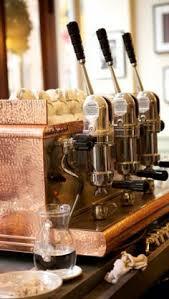 We soon learned and enjoyed the customs of Italian cafè and light tasty breakfasts at a stand or a bar. I was introduced to the biggest secret of all … the Italian white truffle! OMG my taste buds were on fire. I wanted more. Even the price did not deter me from my truffle quest. To this day I try to visit Italy during truffle season and order truffles flown in overnight. We were there for several weeks and the time went fast. As we left we shed a tear. We had totally fallen in love with Italy, Italians and Milan. This romantic place had its teeth into me forever. I would have 50+ more trips to this beloved country. It would shape who I was and what I did in my life. Even this BLOG is a result of those early trips. We all need to lower stress, live happier and acquaint ourselves with taste. Italians do this better than anyone I have ever met. Pavia is a small city in Lombard Italy just south of Milano. It has a population of 68,000 people. When George did consulting for Olivetti in Milano, he met friends that lived in Pavia. It is a wonderful small town on the Ticino river. He remembers boat races on the river. Oh those Italian and their fast cars and boats! Pavia was the capital of the Kingdom of Lombards from 572 to 774. 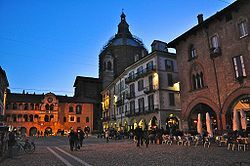 Pavia was famous in Italy for sewing machines. They were the best made you could buy. Today it is a combination of ancient and modern. Many of the people living there, work in Milano. 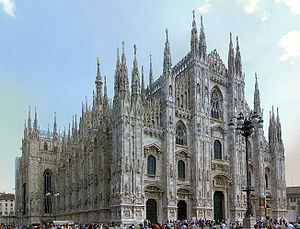 Since Milano has such an influence on them, it is high in fashion and Northern Italian cuisine. There are many things to see in Pavia but don’t miss the Duomo and the Castello Visconteo. 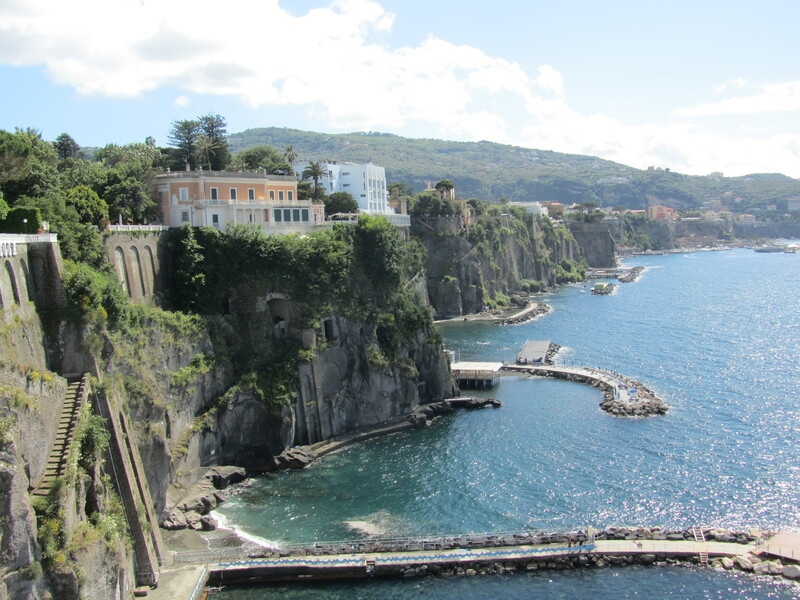 Sorrento is on the southern edge of the bay of Naples (Naples is on the northern edge). It is also on the Tyrrhenian Sea in Campania. 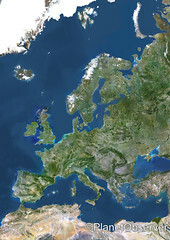 The population is around 16,500. There is a good highway from Naples passed the airport and south to Sorrento. The A1 Autostrada connects with this highway and goes north to Rome, Florence and Milan. This highway becomes a narrow two lane road in Sorrento and becomes the famous Amalfi Coast Road. 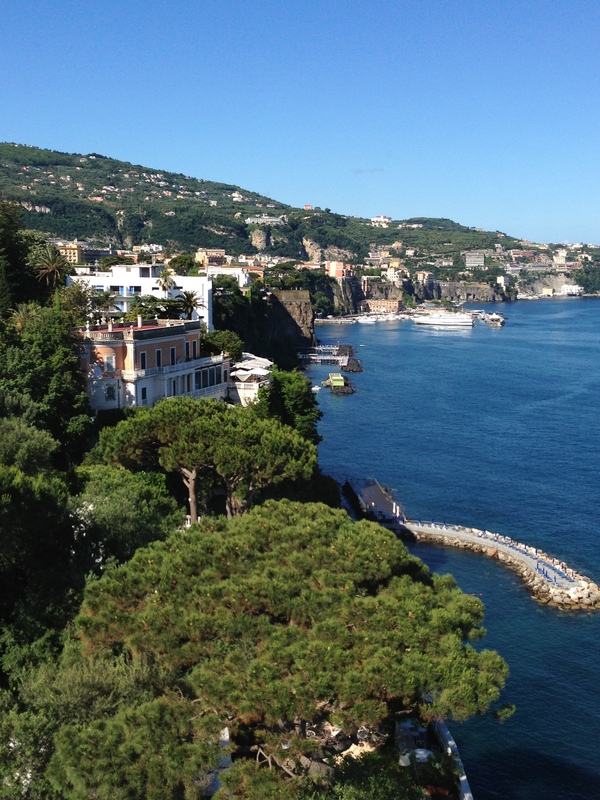 Sorrento is a big tourist stop and gateway to the Amalfi Coast and has many ferries to Capri. 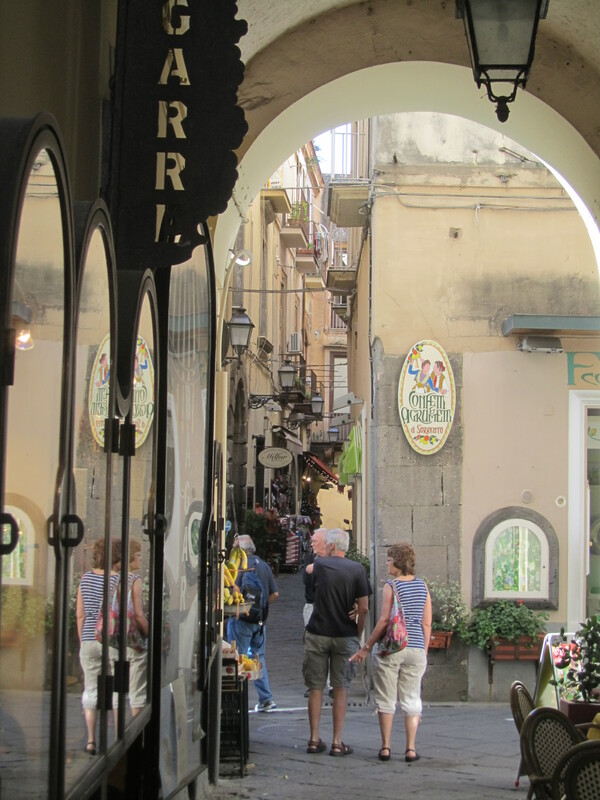 Sorrento has small markets on tiny pedestrian only streets. Most of the items are tourists trinkets but some are good finds. 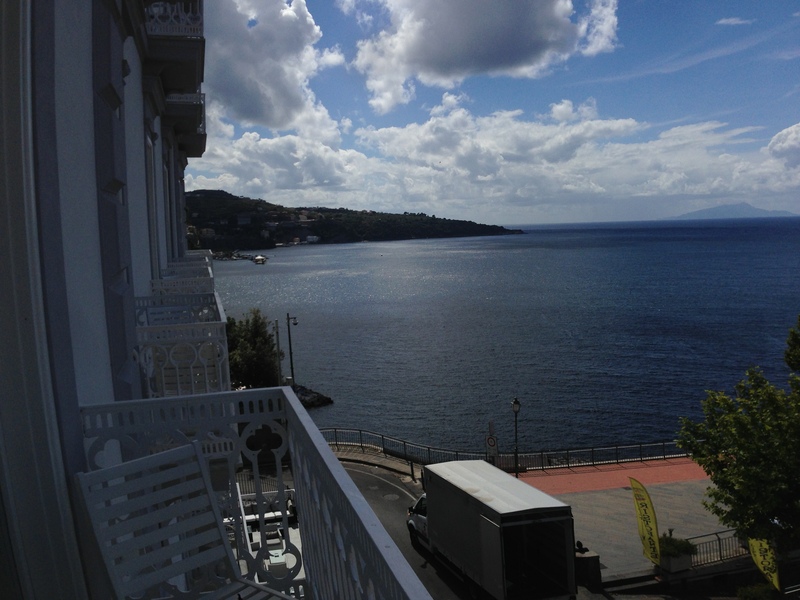 Sorrento has good food, friendly people and great views. 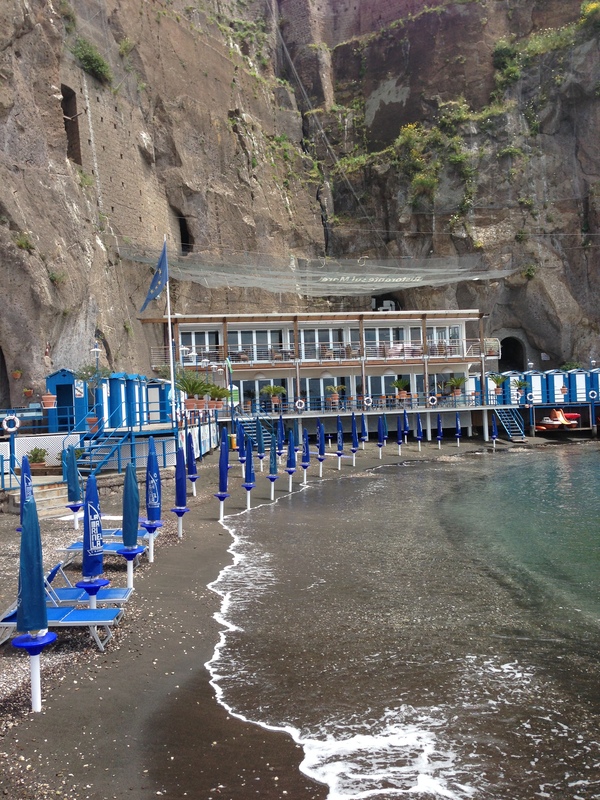 It is a good place to begin your Amalfi Coast tour. What do We do First in a New City? When visiting a new city in Italy, we first walk the town to get to know it. We look for small interesting bars for breakfast. Yes breakfast is at a bar in Italy. 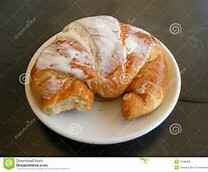 You get your coffee and something sweet (cornetto – a croissant like sweet roll). Some Hotels include breakfast and even have American breakfasts as well. We like to eat like Italians when in Italy. 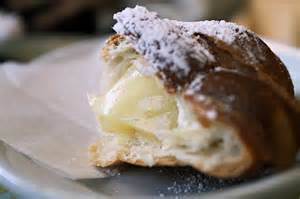 Bars are also a great stop for lunch (panini) or gelato or an afternoon drink. We also scout out interesting restaurants for lunch or dinner. 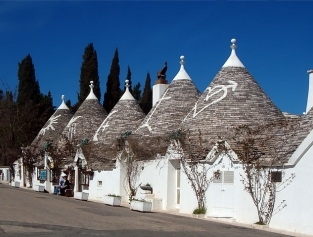 In Italy we look for trattorias or pizzerias since the food is excellent and the price is usually lower than a restaurante. If we have rented a place with a kitchen, we enjoy cooking a meal once or twice. So we also look for small grocery stores that have fresh vegetables, cheese, bread and fruits. Cooking pasta with fresh vegetables in Italy is easy, fun and very healthy. Next we look for interesting stores to visit on our walks. These usually have interesting owners that can give you a better prospective on the city. Some cities like Milan and Naples have a large Galleria (mall like) with shops. These are sometimes two streets covered with a glass roof and closed to traffic. Lastly we seek out major tourist attractions that we want to see while in the city. We also find the nearest public transportation in case of rain. Which ever country and city you travel to, get to know the city, meet the people, enjoy their food and wine. Let yourself relax, loose the stress and be an Italian for a short while. Your body will thank you and you will have beautiful memories. Italy is a country of beautiful designs and romance. Think of the ancient architecture of Rome or the modern Ferrari or the fashion of Milan. Italians love to design beautiful things. If you are in a large city like Rome, the old section is walkable. In small cities you can easily walk around and get to know it quickly. Not much is written about Milan (Milano in Italian) in tourist notes but we love this city. It is cosmopolitan, very classy and the people and food are top of the line. These people love fashion and are the pinnacle of the fashion world even above Paris. They love their coffee (like all Italians) and their food (white truffles, veal, Risotto and pizza). Must see are it’s Duomo in the center, to the Galleria, to the La Scala the opera house, it is a city not to be missed. “I’m going to Milan” is a BLOG about Milan. Just look at the style in the photos on this BLOG. If you happen to be in Milan during white truffle season (Fall), have a pasta and truffle dish. It is expensive but worth it and very unique. Getting around Milan is easy. There are busses, trams and metros (subways). There are several train stations to move you quickly anywhere in Italy or Europe. They have two airports: the downtown Linate and the large Malpensa. The alps are nearby with Italy’s beautiful lake district. Venice is a drive or train ride away. Milan is a romantic city about fashion and design. Milan has the best selection of Panini in its bars. It does snow in Milan in the winter so dress appropriately.